Mosquito Control, Lakeland | The Other Side Pest Control Inc. Mosquito Control, Lakeland | The Other Side Pest Control Inc.
Our family-owned company strives to provide the best mosquito control services to Lakeland, FL. Living in Lakeland, FL means you are subjected to the annoyance of mosquitoes. In such a humid climate, it is almost impossible to get away from these pesky insects. Their bites are itchy and sometimes even dangerous. Some mosquitoes carry diseases and pass them onto humans. 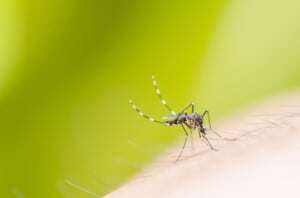 To protect yourself from annoying bites or the chance of serious illness, call us at The Other Side Lawn & Ornamental Pest Control Inc. for mosquito control services. Application of pesticides targeting adult mosquitoes around the perimeter of your property. Eradicating mosquito larvae found near water sources in your yard before they develop fully. Long-term seasonal treatment to kill mosquitoes that may land on the surface of your lawn during the summer. Treating bushes and other vegetation to repel mosquitoes. Use of larvicide in small bodies of water located on your property. Addressing the problem of mosquitoes can take some effort, but with professional help, you can rid yourself of the majority of these insects. Our mosquito control services are always backed by our satisfaction guarantee, so you can be reassured in the quality of our work. Choose a company that has the best interest of you and the environment in mind—choose The Other Side Lawn & Ornamental Pest Control Inc.
At The Other Side Lawn & Ornamental Pest Control Inc., we offer mosquito control services in Lakeland, Auburndale, Bartow, Plant City, Winter Haven, Davenport, Lake Wales, Brandon, Polk City, Highland City, Crystal Lake, Eaton Park, and Winston, Florida.